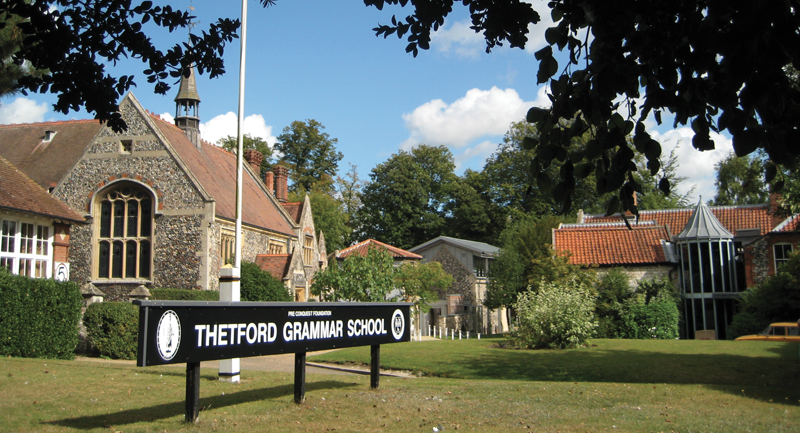 Thetford Grammar School is a high achieving, co-educational day school in East Anglia, including Pre-Prep, Preparatory, Senior and Sixth Form. Thetford Grammar School has a long historical and cultural lineage in East Anglia: last year we celebrated our nonacentennial (900 years) as an educational establishment. Now in the 21st century, we are a successful and dynamic, all-through, independent day school for pupils from 3½ to 18. At Thetford Grammar School we care about the individual and we pride ourselves on our warm community spirit where our young people are happy and valued. We strive for an environment of high expectations and standards in which all our pupils are encouraged to believe in themselves, to be inquisitive, to be resilient and to show ambition both within and beyond the classroom. The strength of our all through school is that it enables us to place great emphasis on a supportive environment conducive for learning, one in which pupils take responsibility for themselves and for each other. Our Sixth Form Centre combines medieval walls with modern glass and steel, the very best of both worlds. This year we are proud to be in the process of supporting six Oxbridge applicants. Each year we welcome students from other schools into our Senior School and Sixth Form where we are able to provide excellent teaching and close individual support, thus enabling students to achieve their full potential. Our Preparatory School is an engaging, challenging and supportive learning environment committed to developing pupils’ individual strengths within a family community. Situated on the same site as our Senior School, Preparatory School pupils from ages 3 ½ in the Early Years Foundation Stage to age 11 in Year 6 enjoy a friendly and purposeful atmosphere with opportunities to work alongside older pupils. Academic success with consistently high results is at the heart of our activities. Our most recent inspection report speaks of “articulate and confident pupils who develop their creativity and work independently, thinking logically and analytically”. Both our Preparatory and Senior Schools provide stimulating and innovative opportunities for our students to learn about their world. Our young Thetfordians are happy, safe and confident. We emphasise four core areas throughout the school: academic excellence; a passion for sports; the promotion of a wide range of artistic and cultural pursuits; and a commitment to service and community. There is a full programme of extra-curricular activities which we seek to blend in with the traditions of hard work with an awareness of the need to encourage rounded individuals, sensitive to others and fully equipped to meet the challenges of a modern technological society. This is a driving force behind everything we do at Thetford Grammar School – a school with a long history of excellence and achievement in providing the very best for its pupils. We are happy to welcome children and their parents to come along and see what makes us so special. ‘Taster’ days are also offered to prospective pupils. 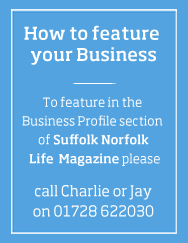 Please do pay us a visit and see what we do for yourselves. You will receive a warm welcome and we know you will be impressed.